When your podiatry practice outsources its medical billing, you can help maximize claims payments and keep your practice compliant. Billing services accomplish this through aggressive collection practices, efficient and accurate execution of billing tasks, and current knowledge of documentation regulations. Effective billing practices are necessary to keep companies in business – and healthcare organizations are no exception. However, with physicians eager to focus on patient care rather than back-end finances, it can be difficult to run a healthy business. This is where medical billing services come into play. In Iowa, third-party medical billing experts help medical practices maximize reimbursements and reduce costs, while putting patients first. This trend is picking up all across the United States, according to a study released earlier this year by Black Book Rankings which found that 71 percent of practices are looking to improve revenue cycle management through a combination of outsourcing and new software. Outsourcing billing processes, after all, is often more cost effective than doing the same functions in-house. This is especially the case for small practices, organizations with a high turnover rate, and businesses just starting out. Whether you are interested in having a third-party billing service in Iowa take over your practice’s entire billing process or just a few parts of your business, choosing the right outsourcing partner can be the right move for your business. It can help you eliminate expenses, reduce denials, and increase payments coming in to your practice. If you don’t currently have a billing or practice management system, find a billing service that uses its own software; and find out whether it can interface with your electronic health record system. Many medical billing companies can also adapt to the needs of your practice by working with your existing billing software. This is important, seeing as the most efficient billing departments tend to be those whose organizations have implemented fully integrated EHR and practice management platforms. An integrated solution can help improve charge capture and reduce denials. Most importantly, it can help you get paid faster. 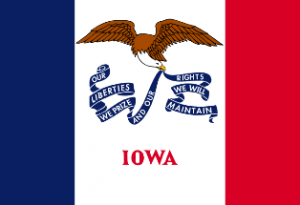 There are many benefits to working with an Iowa medical billing service. To find out how 5 Star Billing Services can help your practice be more successful, call 480-821-1371.